(Photo by Darren Andrew Weimert) Michael and Lisa Keller. Two Christmas seasons ago, Michael Keller received an incredible gift. It came in the form of a double lung transplant, and for Keller it meant a second chance at life. Now he is determined to make the most of this gift of life by paying it forward in a multitude of ways. Keller, 34, was born with cystic fibrosis, a genetic disease that can cause severe damage to patients’ lungs, digestive systems, and other organs. At the time of his birth in the mid-1980s, cystic fibrosis patients were not expected to live much past the age of 12 or 13, but Keller credits his parents with keeping him healthy for as long as possible. Growing up in State College, Keller began to suffer from chronic lung infections during his high school years, but he was able to manage the disease well enough that many people did not realize he was sick, he says. For example, he graduated from St. Francis University and South Hills Business School, started a job in the human resources department at Penn State, where he still works today, and began dating the love of his life, his wife, Lisa, whom he married in 2008. Shortly after their wedding, Keller started spending more and more time in the hospital. As Keller’s lung function continued to decline, he was doing hours of breathing treatments every morning and he required an oxygen tank 24 hours a day, with Lisa taking on the role of caretaker. “Really, it got to the point where my wife and I felt like we were surviving rather than living, and that’s when we were really OK with the notion of getting evaluated for transplant,” Michael says. In November 2016, Keller was officially put on the list for a transplant at the University of Pittsburgh Medical Center in Pittsburgh, which he chose based on proximity and also because of its reputation and experience. UPMC has performed more lung transplants than any other hospital in the United States. While he was preparing to wait for up to a year, as many transplant patients do, Keller was shocked to receive a call at work several weeks later telling him to get to the hospital right away because some lungs were available and they were a match. As Michael and Lisa made their way to UPMC, the new lungs arrived from Chicago. Michael knows very little about his donor, although he knows that he was 51 years old, worked as a butcher, and his name was Raoul. As part of a trial study, the lungs were rejuvenated and kept healthy by an Ex Vivo machine, a relatively new technology widely used in Europe and Canada, but still awaiting FDA approval in the United States. After a 12-hour surgery, Michael had his new lungs. The UPMC staff held a celebration of sorts in his recovery room because he had the distinction of being the hospital’s 2,000th transplant patient. Now it was time to begin the long road to recovery. Michael spent a month in Pittsburgh before being sent back to his Bellefonte home to recover for another two months. He faced a few minor setbacks early on, but has not had any complications since. Although Michael now has the lung capacity of a healthy, normal person, he still must deal with other complications of cystic fibrosis, and the possibility of his body rejecting his lungs or developing an infection is something he must be vigilant about for the rest of his life. He estimates that he still takes about 50 pills each day. Some work to ward off rejection or infection, some help with digestion, and some are to deal with the cystic fibrosis-related diabetes that he’s lived with since well before the surgery. But he no longer has to use an oxygen tank or a nebulizer, he’s gained a healthy amount of weight, and he is able to do things he formerly only could dream about. One of those things is travel. About seven months after his transplant, Michael and Lisa flew to Hawaii for a belated honeymoon, and last summer they went on a mission trip to Jamaica, which was Michael’s first trip out of the country. Just last month, Lisa surprised him with 50-yard-line tickets to the Philadelphia Eagles vs. Dallas Cowboys game in Philadelphia. 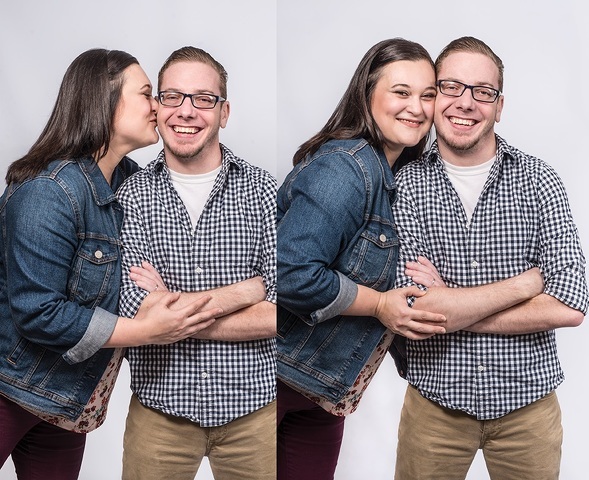 The couple is able to enjoy these special times together now, but both say it took about a year for them to get used to their new relationship as two healthy, independent spouses, which is a common hurdle for transplant patients. Aside from the support of his wife, Michael says another thing he is grateful for is the fact that his mother, who passed away from cancer in January 2018, lived to see him regain his health. These days, Michael spends a lot of his free time trying to spread the word about the importance of organ donation. He has shared his story at nurses’ conventions and has spoken to local high school kids through the driver education program in an effort to encourage students to sign up as organ donors. During the time he was recovering, although he had exhausted all of his accumulated vacation and sick days, his coworkers in Penn State’s human resources department, where Michael works as a multimedia specialist, donated their vacation days so that he was able to be paid throughout his absence. They also put together some fundraisers to help with any transplant-related expenses incurred that were not covered by health insurance. Now that he is healthy, Michael is working on paying forward some of those acts of kindness. He was recently able to donate some of his own vacation time to a coworker. He continues to help raise funds for transplant patients through the National Foundation for Transplants. He also has connected with other cystic fibrosis patients and their families, mostly via social media, to share his message of hope and encouragement to others who may need a transplant, because he felt hearing those kinds of stories was very important when he was facing his transplant. “It really feels good to be on the other side helping other people,” Michael says, something that Lisa says comes naturally to her husband.